Over the last few years, online casinos have struggled to find ways to accept deposits from their members. The reason is complex, and we’ll address it in a moment. For now, it’s enough to realize that using your credit card to fund your accounts is unlikely to work consistently. Because millions of people have Paypal accounts, however, a number of Paypal casinos have risen to meet gamblers’ demand for a reliable deposit method. The problem is, these online casinos have all but closed their doors to U.S. players. On this page, we’ll take a closer look at the reason Paypal casinos are rare, and only available to gamblers who live outside the U.S. You’ll learn that Paypal is not to blame. We’ll also cover a few alternative deposit methods that many U.S. players use to fund their online casino accounts. Paypal was once a popular deposit option. Gamblers enjoyed the convenience of being able to transfer funds from their Paypal accounts to the casinos at which they played. This changed in 2006. A piece of legislation called the Security And Accountability For Every Port Act (or, SAFE Port Act) was signed into law by President Bush. The goal of the SAFE Port Act was to secure U.S. ports. Unfortunately, a last-minute rider called the Unlawful Internet Gambling Enforcement Act (UIGEA) was added the evening prior to the Senate’s passage of the bill. The UIGEA radically changed the landscape of online gambling, and is the reason there are no Paypal casinos operating in the U.S. The UIGEA prohibited banking institutions from processing transactions involving gambling sites. The legislation is predictably dense and murky, but it essentially locked online casinos out of the U.S. market. It became much more difficult for them to process their members’ deposits and withdrawals. So, given that there are several online casinos that continue to keep their doors open to U.S. gamblers, how are they able to process deposits? They offer alternative methods. Many online casinos continue to accept Visa and MasterCard as funding options, though each casino’s success in processing transactions varies. Much depends on whether they can sneak deposit and withdrawal transactions past U.S. banking institutions. This usually requires using offshore payment processors. There are several other resources that have become popular in the U.S. due to the lack of access to Paypal casinos. Among them, e-wallet services, such as UseMyWallet, EwalletXpress, and Quick Tender are the most widely-used. With these services, you can fund your e-wallet account from your checking account, with a money order, or with your credit card. Once the funds clear, you can transfer the money to your casino account. You can also use 900Pay, a service that lets you fund your casino account, and charge the deposit to your phone bill. Because there are limitations, however, many players prefer e-wallet services. Echecks, money orders, and wire transfers are also viable options. One seldom-discussed alternative is to use a prepaid Visa card that allows transfers from Paypal. Transfer funds from your Paypal account to the prepaid card, and then use the card to fund your casino account. While this does add an extra step, it is essentially the same as making a deposit directly to the Paypal casinos. 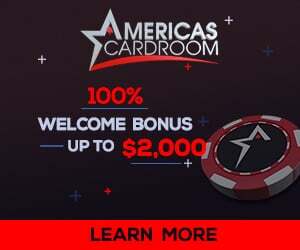 While none of the gambling sites listed above are Paypal casinos, they do provide multiple alternative deposit options that are reliable and easy to use. What’s more, each site offers generous bonuses, first-class software, and an engaging gambling experience. Start with these sites. You may find there’s little need to look elsewhere.